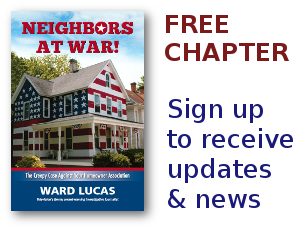 HOA Embezzlement Archives - Page 2 of 135 - Neighbors at War! Charleston Harbor HOA in Kansas City North, Missouri has been the latest victim of over a $100,000 embezzlement! On August 19, 1938 a thief by the name of Loretta Lock was born. She sells real estate and advertises how honest she is! And her performance in the courtroom would have you thinking she’s a little old church lady who laid down her knitting needles and forgot her hearing aids in a rush to stand before the judge and plead guilty to stealing from two hundred of her neighbors! Annually, they each pay dues of $400. So her stint as the board treasurer and neighborhood thief required some very careful transacting.